Author of 2012: The Return of Quetzalcoatl (Tarcher/Penguin, 2006), Notes from the Edge Times, and Breaking Open the Head (Broadway Books, 2002). He is editorial director of Reality Sandwich, co-founder of Reality Sandwich, and editor of the Evolver Editions Imprint. Ken Jordan has been an online pioneer since leading the 1995 launch of the award-winning SonicNet.com, the web's first multimedia music zine and digital music store, which later became a property of MTV. 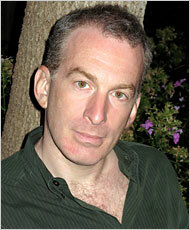 He has written for Wired, Index, and Paris Review, among other publications. He is co-author of the influential white paper "The Augmented Social Network: Building Identity and Trust into the Next-Generation Internet;" editor of Planetwork Journal; he collaborated with the legendary playwright and director Richard Foreman on Unbalancing Acts: Foundations for a Theater (Pantheon, 1992), and is co-editor of the anthology Multimedia: From Wagner to Virtual Reality (W.W. Norton, 2001). He has written for Wired, Paris Review, Index, and First Monday, among other publications. Ken is publisher and executive producer of Reality Sandwich and Evolver.net. Jonathan spearheaded the activist media group, Greene Dragon, where he appeared in international media such as CNN, MSNBC, ABC, Time, and on the cover of New York Magazine. After experiencing a number of mystical encounters, he turned his focus towards expanding consciousness. 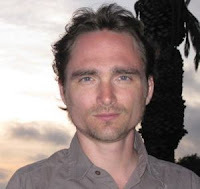 He is one of the founders of Evolver LLC, serving as senior editor Reality Sandwich, and as director for Evolver.net, a social network for "conscious collaboration." He coordinates the Evolver Regionals program, which now has over 40 chapters hosting monthly events. He is the creator and director of “The Ayahuasca Monologues: Tales of the Spirit Vine.” Jonathan is a Reiki Master, Bioenergetic healer, an initiate of the International Sufi Order, and founder of the NY Gnostics. Director of the acclaimed New York design studio Nowhere, Educator, Visual Artist, clients include Alicia Keys, Timothy White, Pantone, Coca Cola, Dodge; he led the global rebranding of the Ramada Hotels. He is currently at work on the first monograph of his Universus project which will feature 22 meditations for people who use Alphabets in their day to day communications. He is the Creative Director of Reality Sandwich, the Evolver social network, and the Evolver Exchange. Jennifer Palmer is the news editor of Reality Sandwich and Community Director of Evolver--two dream jobs merged into one. She is a writer, DJ and internet philosopher who goes by the name TRUE online. Her blog, BRANDTRUEBOY, started as an art experiment in 2002, in which she posted as three fictitious characters that she passed off as "real" people who emailed, commented and chatted with other bloggers. Her current projects include willing the (r)evolution with love, writing a novel, honing her Twitter stream skills and building the dopest vinyl based beat library in NYC.